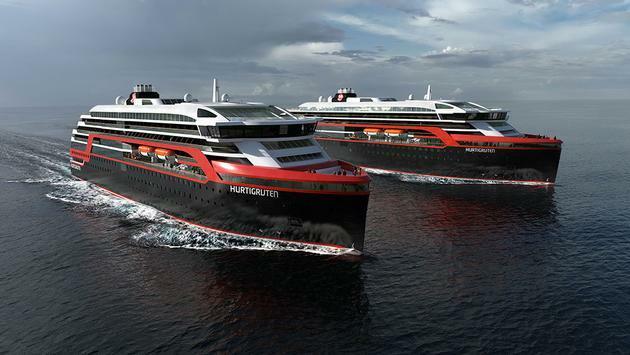 Hurtigruten’s MS Roald Amundsen and MS Fridtjof Nansen. The MS Roald Amundsen and the MS Fridtjof Nansen will debut in 2019 and 2020, respectively. Named for two heroes of polar expedition, the ships’ itineraries will ply the waters of Antarctica and Arctic Canada. They’ll travel through the Northwest Passage, the legendary route from the Atlantic to the Pacific, cutting through the icy Canadian Arctic along the way.